Ahead of the main event on Sunday, Newcastle and Gateshead quayside shows host to a spectacle of sporting events, including the Mini Great North Run, the pasta party and also the Great North CityGames. A unique and purpose-built athletics course will be erected on the Newcastle and Gateshead quayside which will set the stage for a host of athletics events, such as the long jump, the pole vault, the 500m and many more. In such a small and condensed vicinity, spectators will easily be able to get close up to the action as world-class athletes compete for post marathon glory. Among the athletes, competition will come from all corners of the globe to pit their abilities against some of the very best grassroots talent. The CityGames will usually run between 12.15pm and 4pm which will allow spectators to enjoy many of the other events and activities which are taking part within the quayside area. 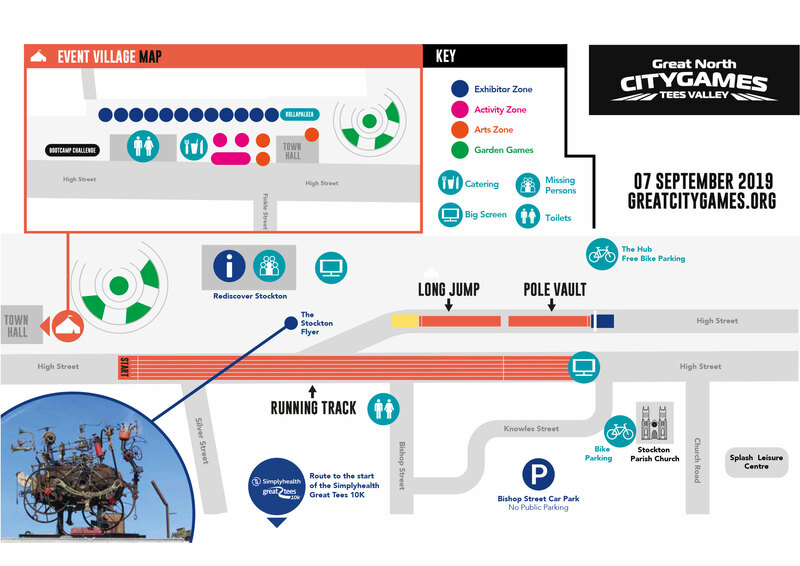 Below you can find an easy to read map of the Newcastle and Gateshead quayside, from which each CityGames event has been clearly marked for reference. Among these events, you can see how their location ties in with other events happening on the Saturday. Last year's event schedule for all CityGames events is available below which will allow you to plan your time according as per your favourite events. Times for 2018 are yet to be confirmed.